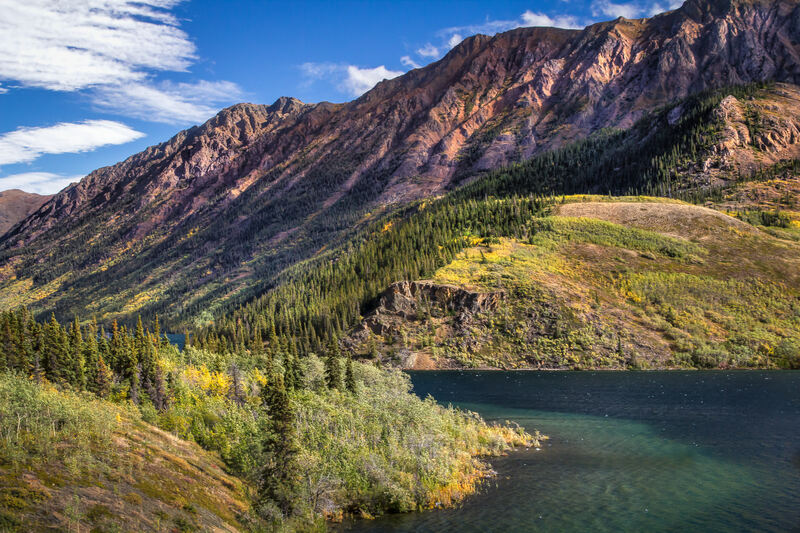 The Klondike Highway snakes around the mountains of the Yukon Territory, Canada. 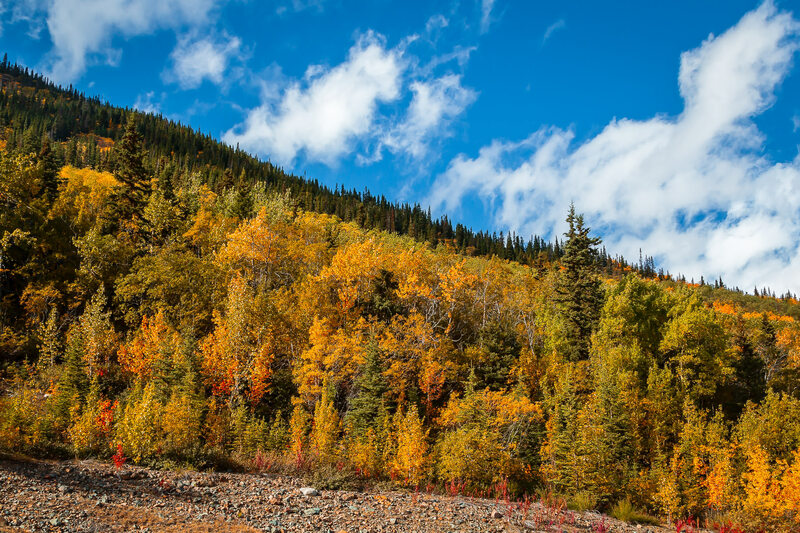 Trees begin to turn colors as autumn starts to descend on the Yukon Territory‘s Stikine Region. 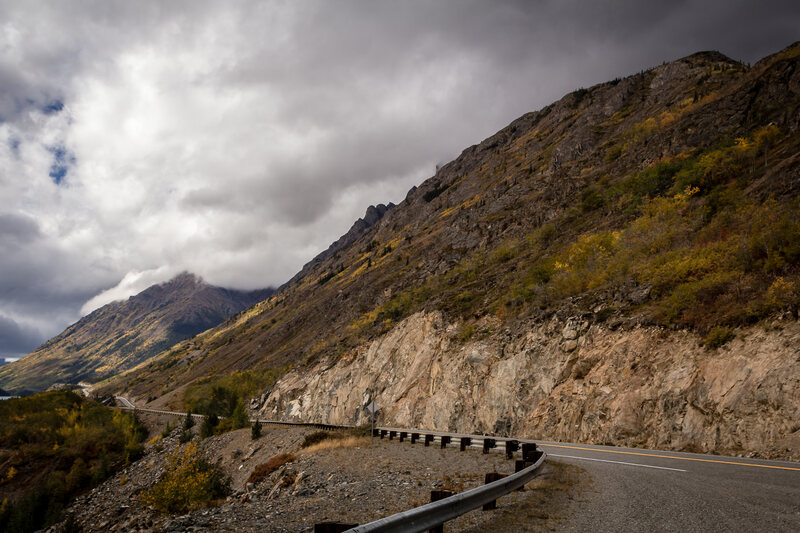 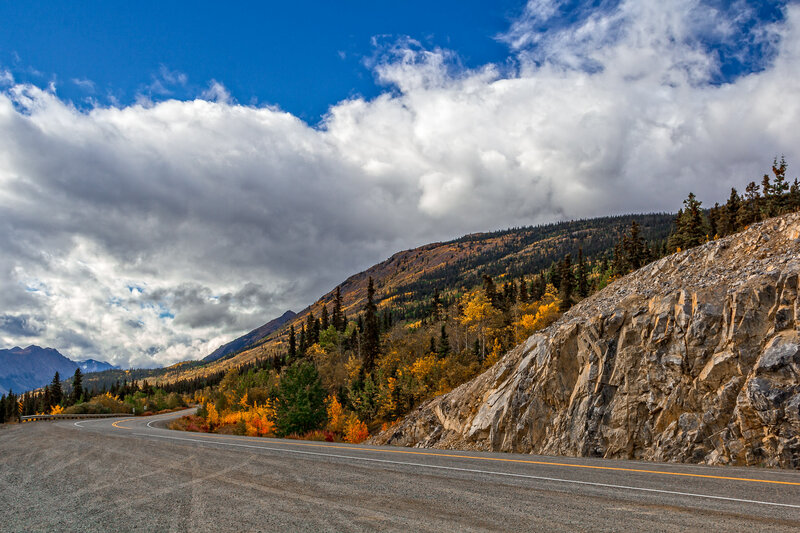 Storm clouds form over the mountains along the Klondike Highway in Canada’s Yukon Territory. 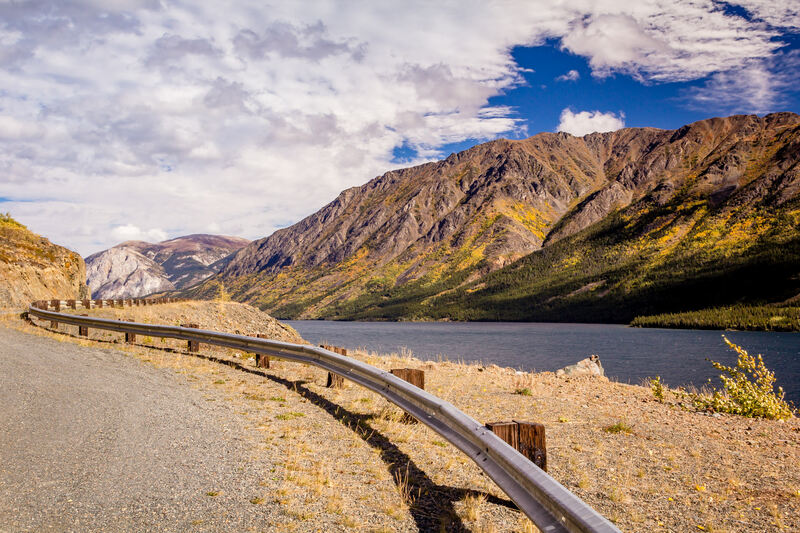 A guard rail along the Klondike Highway snakes along the shore of the Yukon Territory’s Tagish Lake. 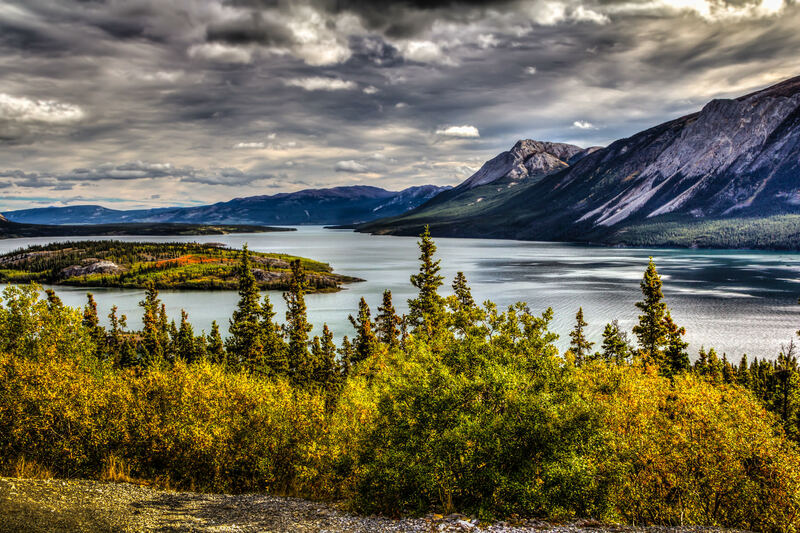 Storm clouds form over Yukon Territory, Canada’s Tagish Lake. 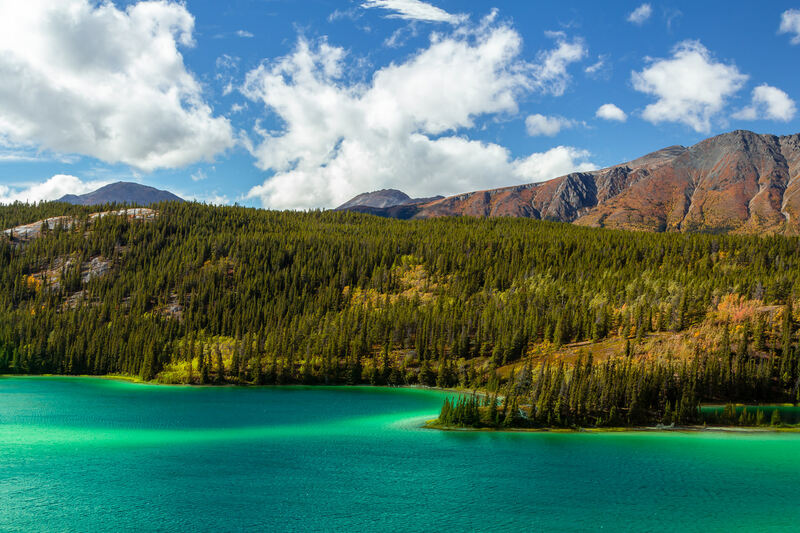 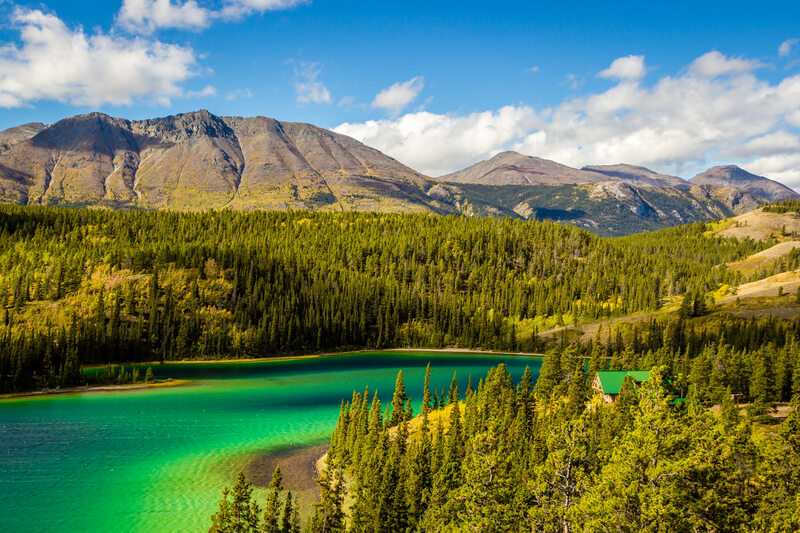 Emerald Lake sits nestled in the mountains of Canada’s Yukon Territory just north of the town of Carcross. 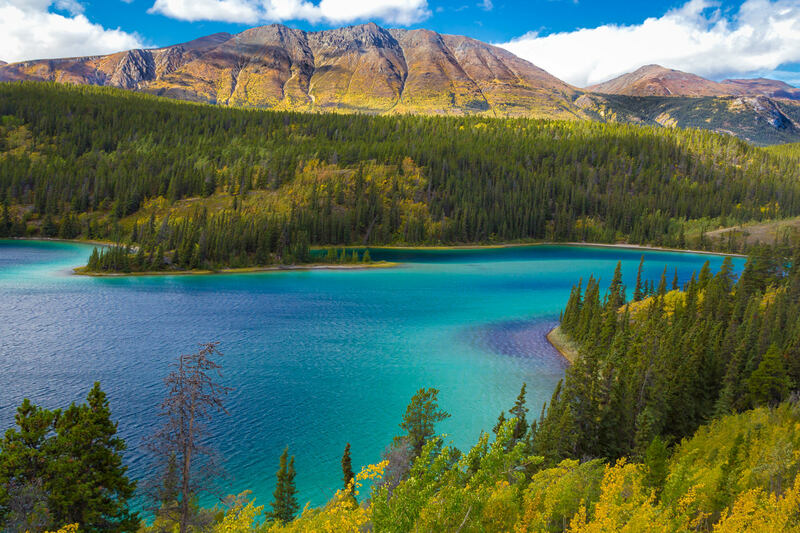 British Columbia’s Tagish Lake, nestled amongst the mountains along the border with the Yukon Territory, Canada.